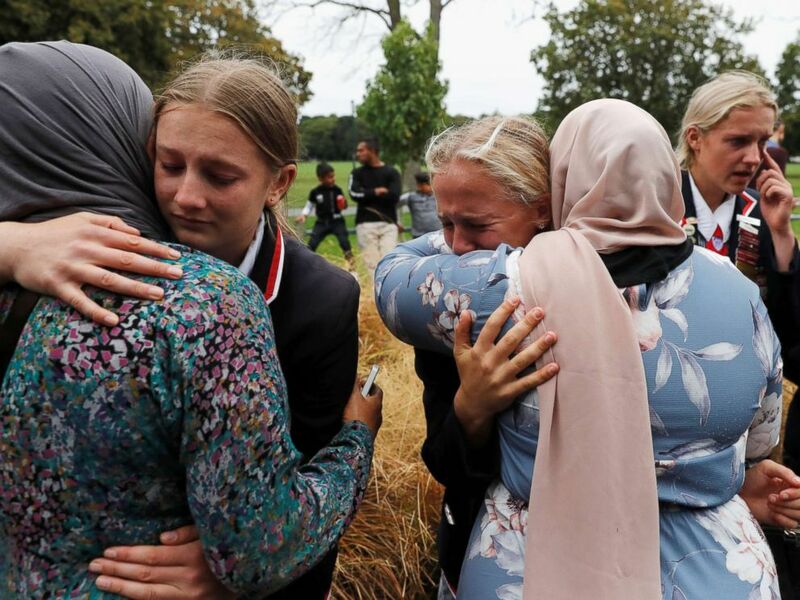 High school students from a Christian school give hugs to Muslims waiting for news of their relatives at a community center, in Christchurch, New Zealand, March 18, 2019. 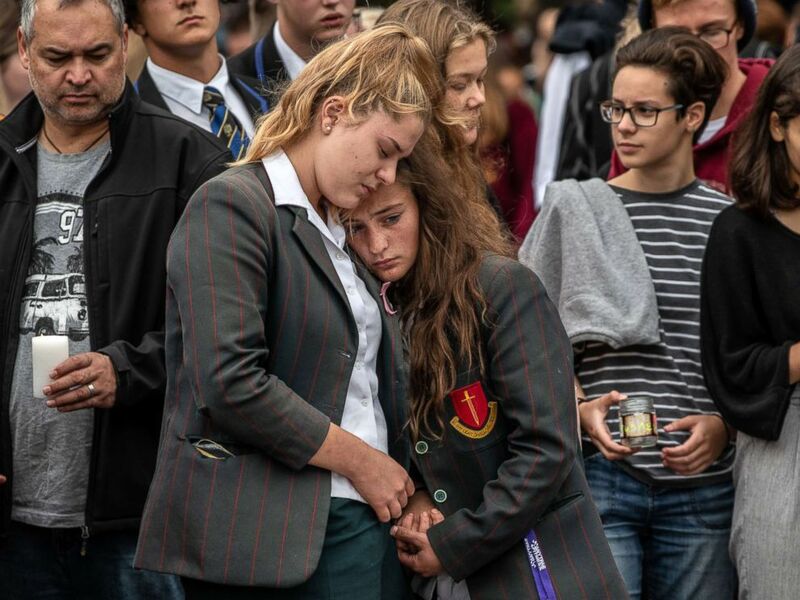 Schoolgirls comfort each other as they view flowers and tributes near Al Noor mosque, March 18, 2019 in Christchurch, New Zealand. 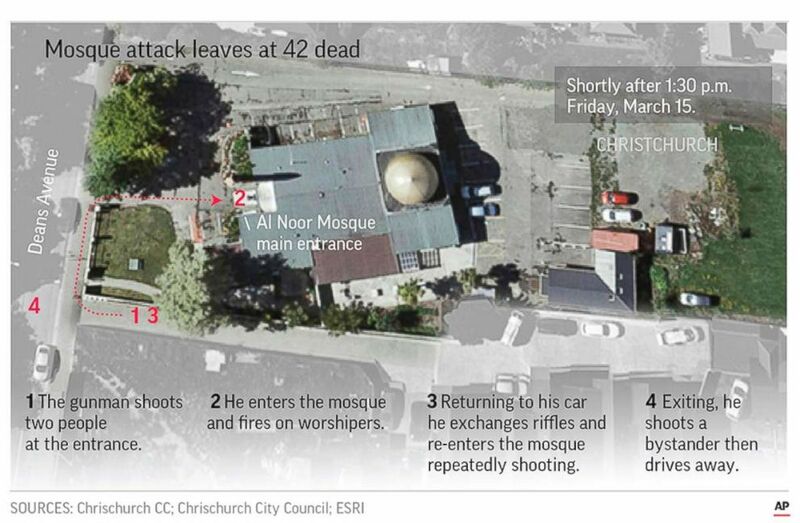 Graphic depicts the gunman's movements during the attack at the first Mosque in Christchurch, New Zealand. 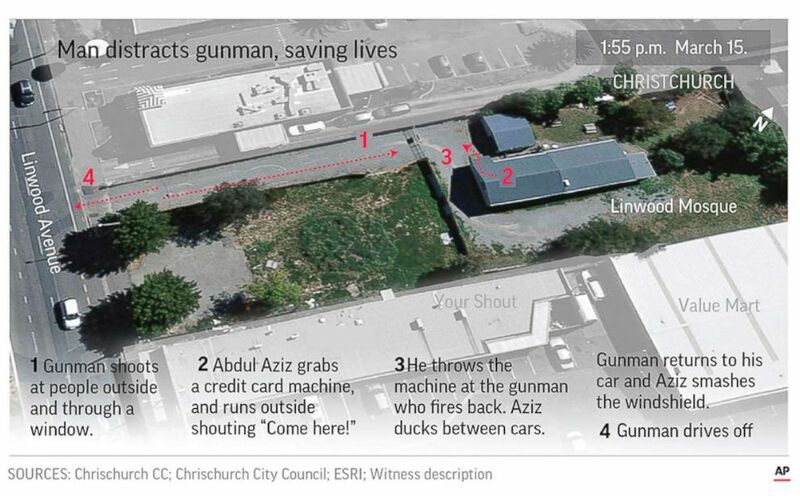 Graphic depicts gunman's movements during the attack at the second mosque in Christchurch, New Zealand. 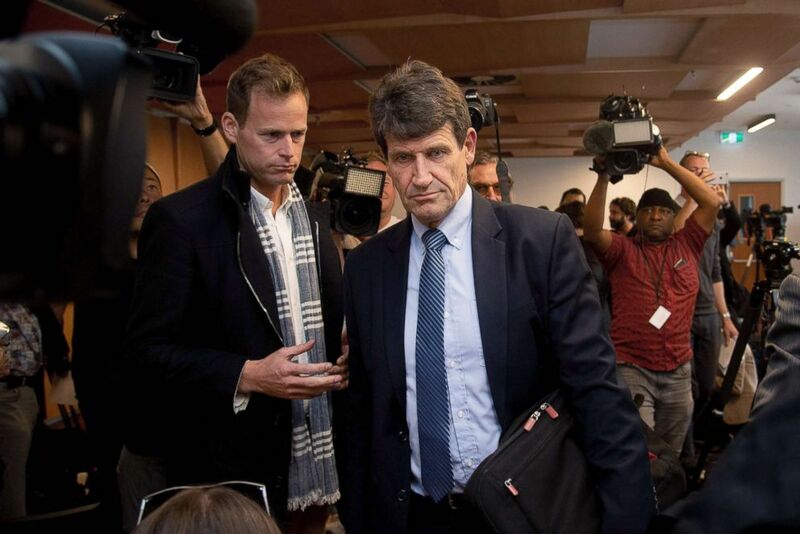 Gun City store owner David Tipple, center, leaves a press conference at the Piano Event Centre in Christchurch, March 18th, 2019. 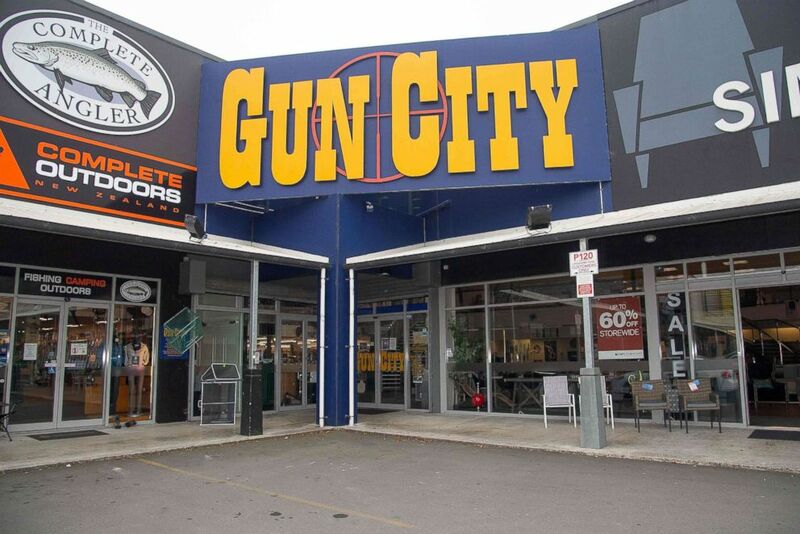 The Gun City store on the outskirts of Christchurch, March 18, 2019. 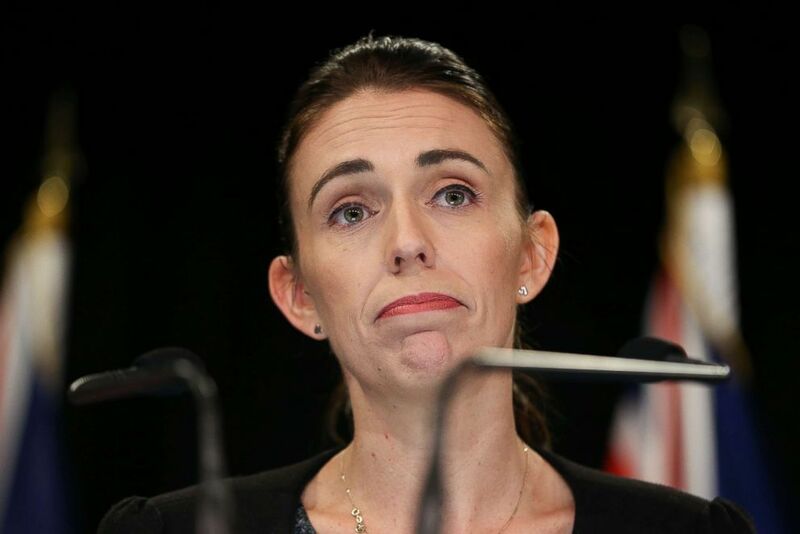 Prime Minister Jacinda Ardern gives a press conference at Parliament, March 18, 2019 in Wellington, New Zealand.